Nissan has today announced its future plans for India through an offensive with new model launches, Connected cars, Electrification & Digitization. Nissan has today announced its strategy for its future operations in India. This is going to be done through launching new products, strengthen the Nissan and Datsun brands, expand its dealership network, optimize flexible manufacturing and strengthen R&D facilities together with its Alliance partners in the country. Under the strategy for India market, the Japanese automaker aims at launching some of its product from the global line-up in India. Furthermore, with the help of this, the company aims at building its ground in our country for electrification and connected cars technology. Furthermore, it is going to build a strong line up for Datsun in India. 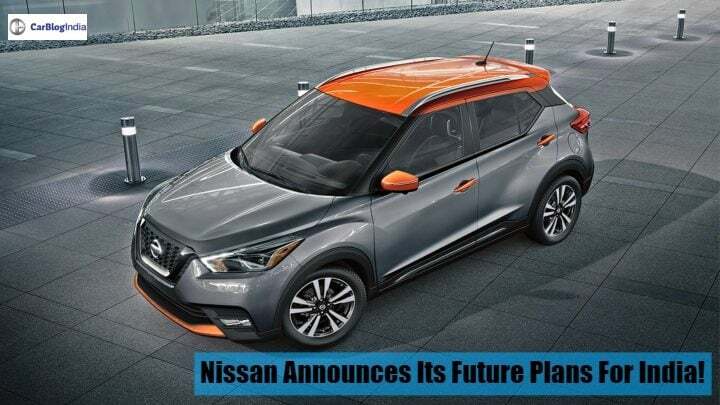 Enhance both its brands by reinforcing the company’s image as a premium mainstream brand with wide appeal, building on the company’s SUV heritage and leading performance globally, starting with the launch of the Nissan Kicks. The automaker will also focus on strengthening its network and teams. It will achieve this by doubling its sales and service touch points and strengthen the dealership network in the next three years. Currently, this network stands at 270 in our country. The automaker further aims at expanding its regional marketing and sales operations teams to four key regions across India. In addition to this, it will develop its design centre in Chennai to ensure cars meet the rapidly changing expectations of Indian customers. Improve customer service and satisfaction, and expand access to its products and services, through digitisation and eCommerce.